A co-ordinated double suicide bombing hit central Kabul on Monday morning, killing 25 people, including an AFP photographer and a cameraman for a local TV station, the Afghan police said. At least 45 people were wounded in the twin attacks, according to Kabul police spokesperson Hashmat Stanekzai, who said four officers were among those killed. The attack was the latest in a relentless string of deadly large-scale bombings and assaults that have struck Kabul and elsewhere in Afghanistan so far this year. And as the Afghan capital reeled from Monday's assault, a suicide car bombing a few hours later in the southern province of Kandahar killed 11 children, a police spokesman said. The U.S. Embassy condemned the "savage bombings" in Kabul and reiterated its support for the Afghan people and Ghani's government in their fight against terrorism." Stanekzai said the first suicide bomber was on a motorbike. The second explosion was meant to hit those rushing to the scene of the attack to help the victims of the first blast. He said the second attacker was on foot, in a crowd of reporters who had gone to the scene of the first attack, pretending to be one of the media. He then detonated his explosives while still among the reporters, the spokesman said, intentionally targeting journalists. In its claim of responsibility, the Afghan affiliate of the Islamic State in Iraq and Syria (ISIS), known as Khorasan Province, said the first martyrdom seeker in the attack detonated his explosive vest near the intelligence service in central Kabul, forcing its members to head to the area of the explosion. The statement said the second attacker detonated his explosive vest after that. The statement, which exaggerated the overall death toll as militant claims often do, did not say that journalists were specifically targeted. Media watchdog Reporters Without Borders said at least nine journalists were among those killed, representing several countries, with six injured. The group urged the Afghan government to do more to protect journalists and said it will formally appeal to the UN for the creation of a special envoy for protecting journalists. In an incident that didn't immediately appear to be connected to the Kabul and Kandahar attacks, a BBC Pashto journalist was shot to death Monday in Khost province. Ahmad Shah, who was killed, also did work for Reuters. 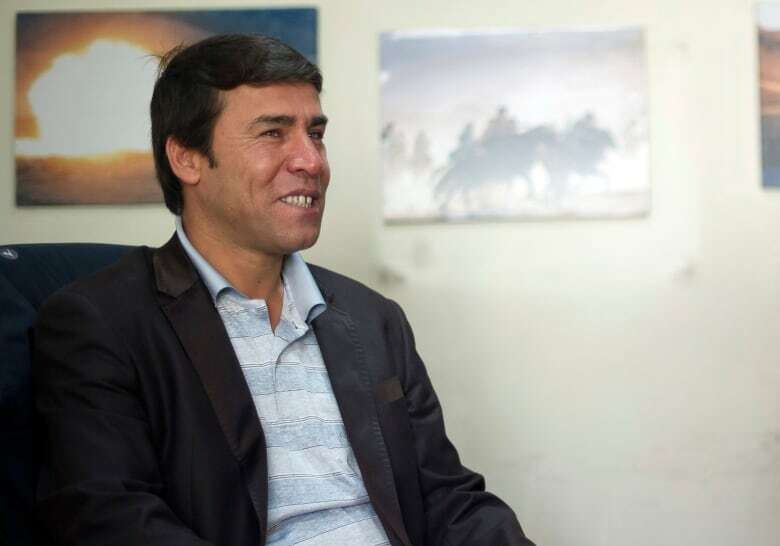 Agence France-Presse reported that the news agency's chief photographer in Kabul, Shah Marai, was among those killed. Reuters photographer Omar Sobhani, a friend and colleague of Shah Marai, was standing next to him when the bomb exploded. "We were standing on a slight rise to get a better shot when I heard a bang and saw him on the ground. I was stunned, I couldn't believe it," said Sobhani, who suffered minor wounds. "He was a very good photographer — the best — but he was also a very good man." Jawed Ghulam Sakhi, a 28-year-old a taxi driver, said "when the explosion happened, everywhere was covered with dust and fire, it was so horrific scene," with bodies and body parts "thrown about on the street and the pavement." 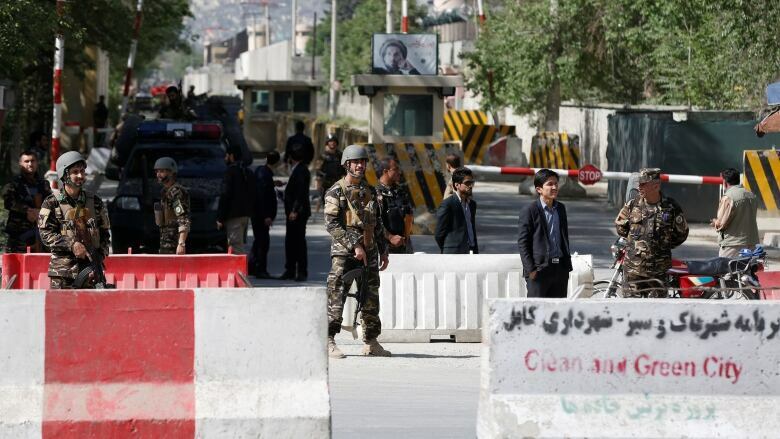 Kabul police Chief Dawood Amin said the area of Kabul that was targeted, which includes many foreign offices, was quickly sealed off and authorities were investigating. 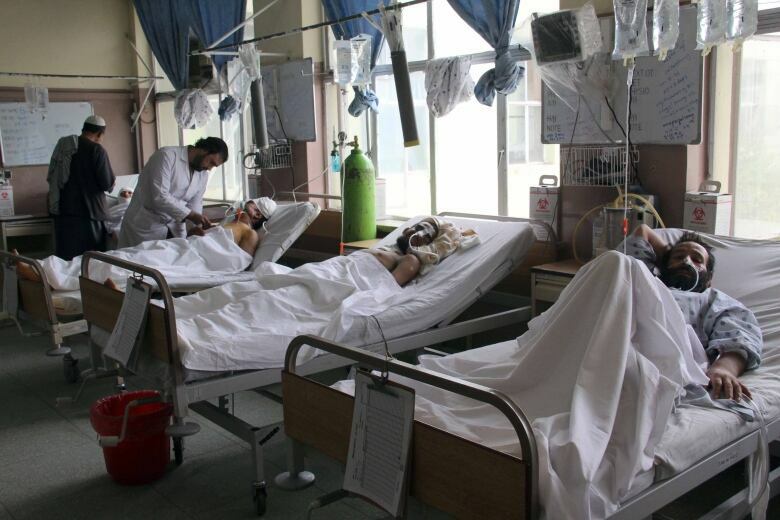 Mohammad Mousa Zahir, director of Wazir Akbarkhan Hospital, said several people suffering injuries from the blasts were being treated at the hospital. In the Kandahar attack, an Afghan official said a suicide bomber targeted a NATO convoy in the district of Daman, but killed 11 children from a religious school located by the roadside from where the explosion occurred. Matiullah Helal, deputy spokesprtdon for the provincial police chief, said 16 people were also wounded, including five NATO soldiers, nine civilians and two officers. There was no immediate claim of responsibility for the Kandahar bombing and no comment from NATO. The ISIS affiliate and the more firmly established Taliban carry out regular attacks around the country, with the Taliban usually targeting the government and security forces and ISIS targeting members of the country's Shia minority, whom the affiliate perceives as apostates. Large-scale attacks by the Taliban and ISIS have also hit the Afghan capital, the seat of Afghan President Ashraf Ghani's government. Last week, an ISIS suicide bomber attacked a voter registration centre in Kabul, killing 60 people, including eight children. The month before, an ISIS suicide bomber targeted a Shia shrine in Kabul where people had gathered celebrating the Persian new year, killing 31 people and wounding 65 others.